Before you start, be sure you are registered to forums. 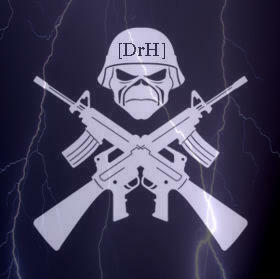 NOW YOU CAN START YOUR APPLICATION for DrH CLAN! 1. First Answer the Questions! Please post and then fill out these Questions and we will see if you can Join DrH! If we find out that you lied on one of the questions you will be perminately Banished from these forums So please Answer Truthfully so we know a little more about you! 6. What game you play that we support? 7. Do you have Windows Messenger? 8. Do you have a YouTube channel? 9. Do you Xfire? If you do whats your username? 10. Do you have a Gaming Video Recorder? like Fraps? 11. Do you know how Windows Movie Maker or how to edit programs? 12. Have you been in other clan(s) before? If so what were the names of them? 13. Do you jump from one clan to the next? 14. When in a server, do you follow their the rules? 15. Have you ever been apart of a Clan War? 16. How often a week do you play Battlfield? what days mainly? ** 17. Are you a responsible person (please answer honestly)? ** 18. Do you respect others even if were newbies? 19. Do you enjoy helping out others on Battlfield 1942? 20. Do you explain yourself and converse well with others? ** 21. Have you ever used hacks of any kind in Battlefield( please answer honestly)? 22. Do you love to lead others? ** 23. Are you easily angered? or offended? 24. How much battlefield experience do you have (in years)? ** These questions will not lower your chances of getting accepted in the clan. But if you answer them dishonestly that will make your chances of getting in the clan slim. If you were a hacker we expect you change that but we still need to know if you have in the past. Same goes for the others we just want honesty. DrH members are elite members! To keep this standard of eliteness we have to know what your gameplay is like. How we judge this is through different things like your score, attitude/behavior, kill to death ratio, and through our observation of you. 1. I have to at least see you playing through 3 rounds in the game. 2. I Will have to duel you one on one. 3. Your activity on the forums! Lastly we want to see you already active on the forums. We want to see that you care about DrH and are willing to be active not only in the game but on the forums. how we decide this..
1. You post at least 5 posts on different topics. 2. Your posts are not spam, immature, or impusive. 3. Your attitude and behavior on the forums. 2. Not Yet, you are not ready to become an DrH member YET. If you get "Not yet" as your answer don't get angry this just means you have more training, experience, and time you have to put into your gameplay and your attitude towards that game. And if we feel you are ready you will receive an email! If you have any questions, comments, or concerns you can shoot me a PM (private message) or.. Thanks for your intrested in DrH! !